Lithuanian Playing Cards is a reprint by Piatnik of Pilys (Castles) originally published by Spindulys, Kaunas, Lithuania in c.1930. The four Aces depict Lithuanian national monuments. 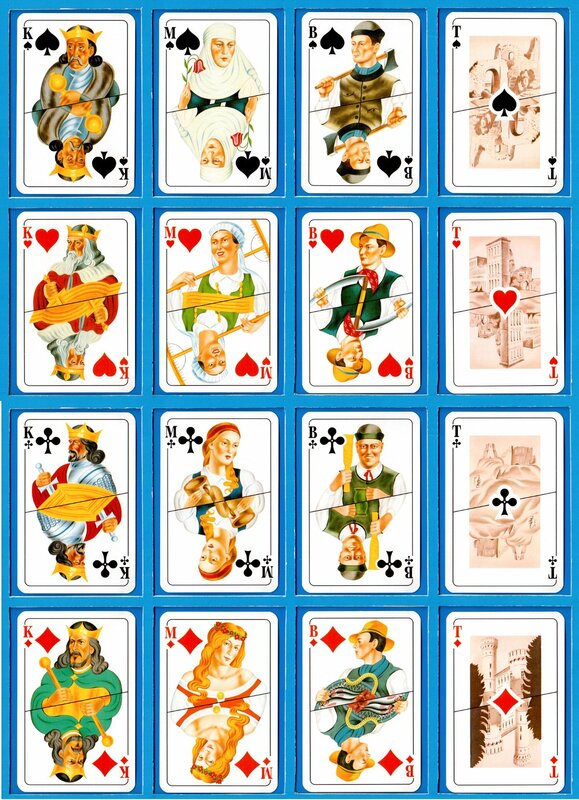 Above: Lithuanian Playing Cards, reprinted by Piatnik, 1995, 2004. 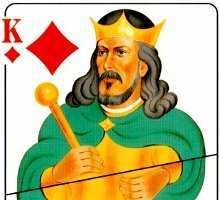 The Piatnik logo can be seen on the Four of Hearts. Images courtesy Albinas Borisevičius.